By Allison on June 1, 2010 in Snacks! Last weeks module for my Integrative Nutrition course focused a lot on healthy cooking at home. Since starting the program, I’ve gotten much, much better at organizing my grocery store trips so that I have plenty of ingredients to cook dinners and pack lunches. I make sure to have lots of leafy greens for salads galore, a variety of fruits, and snacks for throughout the day. The beautiful summery weather has made us grill crazy, so we’ve also been making sure to stock up on turkey burgers, chicken sausages and chicken wings (M makes a mean grilled buffalo wing). This being Memorial Day Weekend, we hosted the obligatory BBQ. The usual suspects showed up and we had a grand ole time playing games (beer pong and ladder ball), eating steak tips, burgers and some mouthwatering hors d’oeuvres. 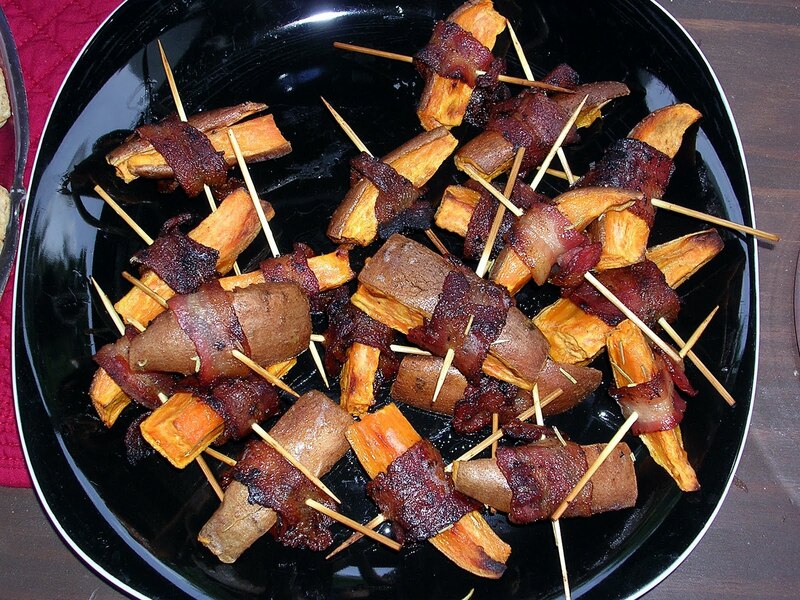 I cut the sweet potatoes into “fries” (with the skin on), sprayed with olive oil and baked at 400 for 10 minutes on each side. 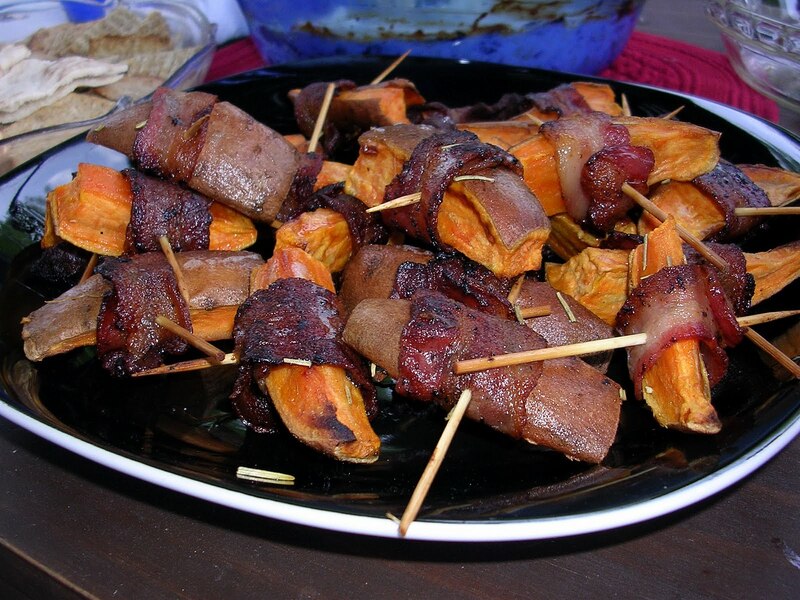 After baking, I let the sweet potatoes cool to a temperature that I could comfortable handle them, and dipped them in a mixture of olive oil (1/4 cup ) and rosemary (1 Tbsp). Then, I cut the bacon strips in half and lightly fried them. I wrapped each fry in one “1/2 strip” and secured with a skewer. After laying each morsel on an aluminum foil lined baking pan, I baked them again at 400 degrees for 7-10 minutes on each side (until the bacon was crisp). 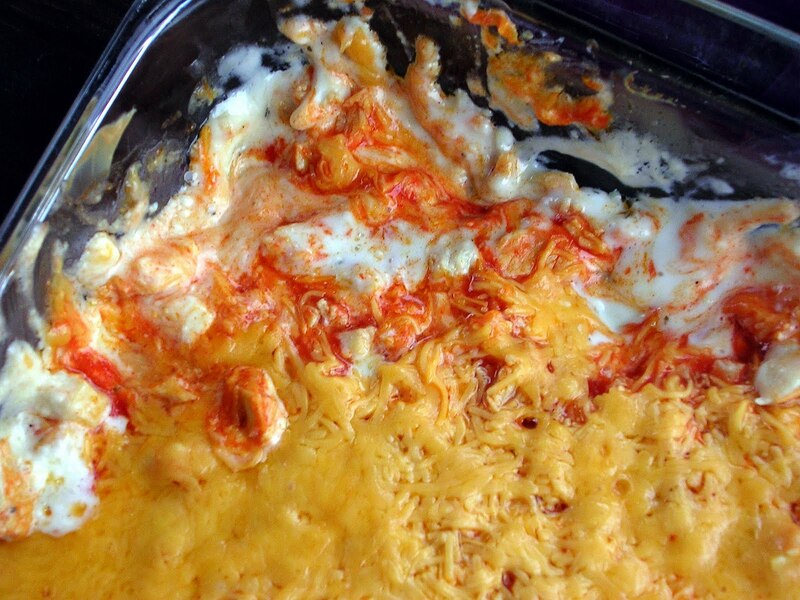 One of our friends makes this for basically every party we have…because it’s addictive…like crack. 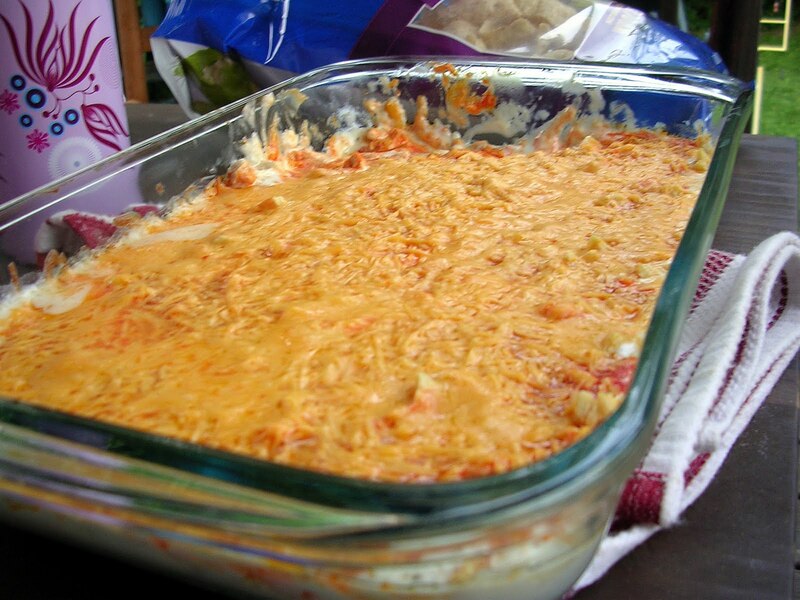 She won’t divulge her secret recipe, but I’m pretty sure it’s chicken, buffalo sauce, and many kinds of cheeses including blue cheese and cheddar. The BBQ was a success! 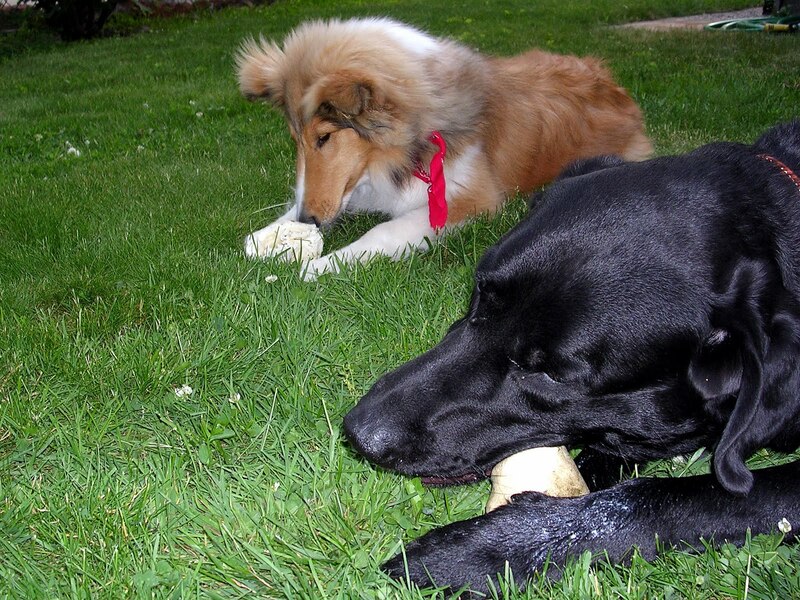 Everyone enjoyed themselves…including Chester and Meadow, who shared a rawhide bone. I Found New Things To Read!